Size: 6.3 x 4.6 inches. Condition: Cut to neatline, just touching top of engraving. Slightly browned. 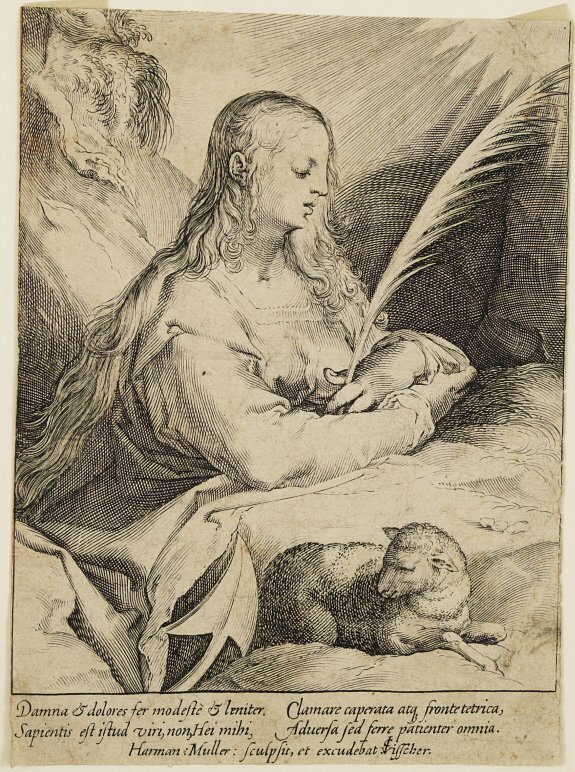 Etching by Herman Muller, of a seated woman with a palmleaf in her hand as sign of martyrdom, a lamb and part of an anchor in the foreground, probably St.Agnes. Engraved after a drawing by H.Goltzius, with the adress of C. Visscher.